The Sea of Monsters. I was going to write about what I learned while watching this, and it was going to be amazing and insightful and full of colorful references to mythology (that I would have to research.) Instead, as I wrote it, I realized that I really wanted to talk about something else. Criticism. 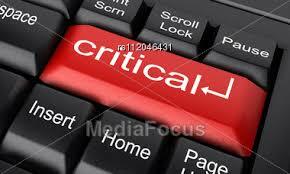 Or more specifically, am I being too critical? Odd topic for a blog written by 5 critiquers, right? Sort of like a group of movie reviewers having one of their members talk about how awesome Battleship was. I mean, hey, as critiquers that’s our job. Read something. Find flaws. Think of ways to make it better. Be kind, but be critical. But as I wrote about Percy Jackson and that Sea of Monsters, it occurred to me that it worked. It wasn’t flawless, but did it really need to be? Did all the stunningly insightful observations about what they did wrong really matter? It was fine. I was entertained. However, had I written that movie (or book), I would have ignored the cool characters that I had created, the neat twists on established mythology and even forgotten what an amazing idea I had in the first place. Instead, I would have focused on what was wrong and spent a ton of time trying to fix it. I may even have ruined all that I’d done right. It’s something I think has infected my writing. Have I written the perfect paragraph, the perfect sentence, the perfect word? Is there tension, emotion, action, etc, etc? Now don’t get me wrong, we all have to work at writing the best thing we can write, but at a certain point, if we’re listening to that critical voice, we’re losing the creative one. What’s worse, that hyper-critical thinking is beginning to creep into my entire life. Do I have the right shoes? Have I ironed out all the creases (and yes, that’s a real picture of me.) Have I said the right thing? Am I the only one not mortally offended by Miley Cyrus? So, my new advice to myself (and anyone still reading and not flipping to America’s Top Model), give yourself a bit of a break. Find the good. Celebrate the good. Don’t try to overthink everything and make it all perfect. 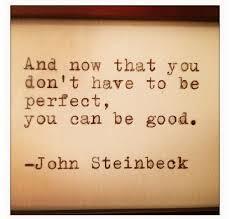 Perfect can be the enemy of good writing. This entry was posted in Critique Group and tagged battleship, perfection, voltaire, writing advice by Joe Cummings. Bookmark the permalink. Joe, angst is totally understood. Consider my plight as a career risk manager for hospitals before retiring to a second career of writing. That career makes the bearer super sensitive to the smallest detail and permeates everything you do. Between that and what publishers currently want from authors to get in print, I find myself wondering if I’m up to the task. You advice well said, now lets see if I can make it happen!